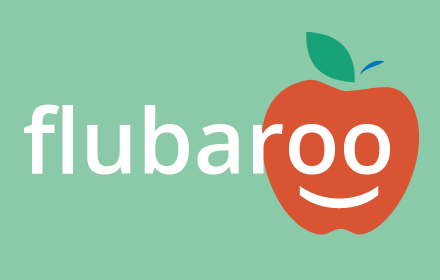 HomeMatthew's BlogFlubaroo – my hero! So, I created a 30-question multiple choice quiz for my Matrics using the new-and-improved Google Forms. 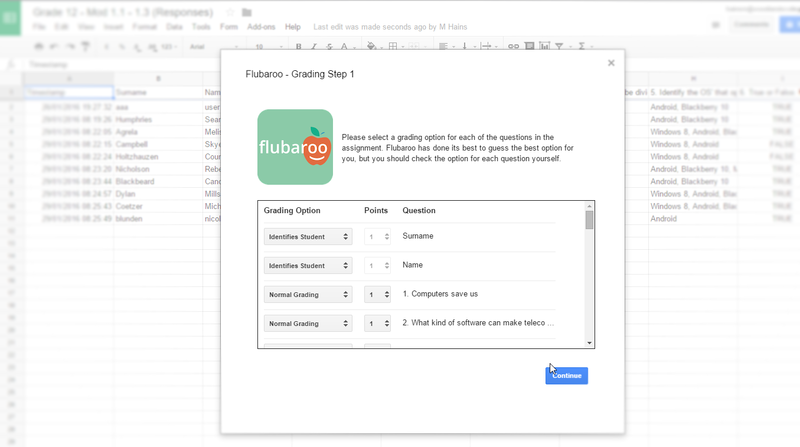 Firstly, the new interface and usability of the Google Forms application is fantastic! 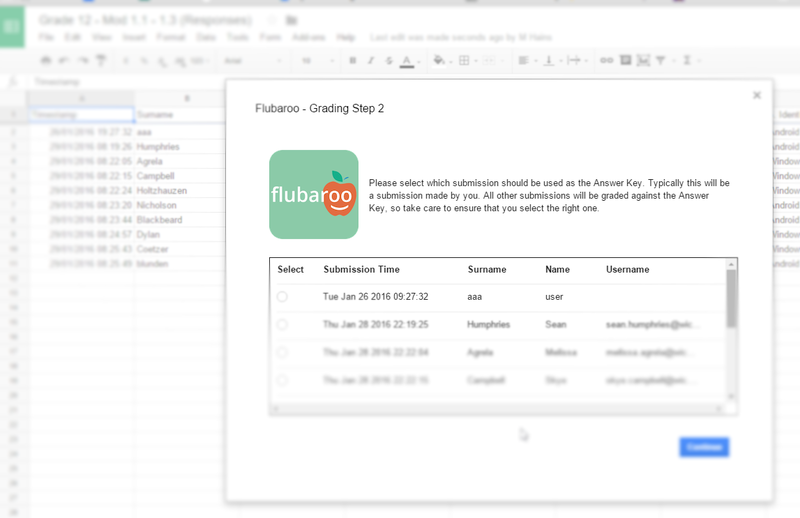 Secondly, working with Google Classroom (and the whole Google app/admin entourage) I was able to send a link to each student’s school email address where they could then load the forms and have their email addresses automatically recorded in the results sheet (useful for later sending of their results via email). 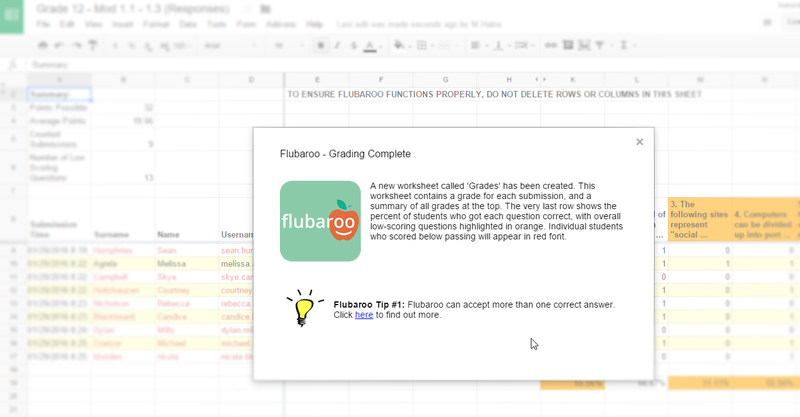 Using Flubaroo, I was able to have the assessment automatically marked, results collated and presented in a report format ready for individual printing for each student. Matthew is a Computer Applications Technology teacher at an independent school in South Africa.